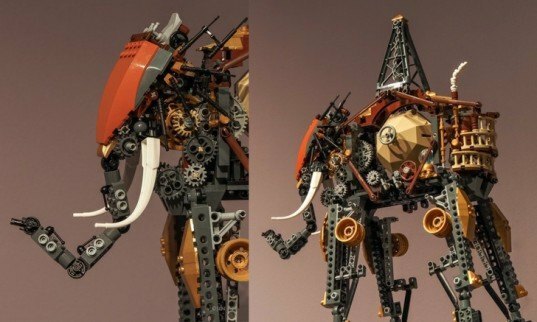 Korean LEGO artist Jin Kei has given life to one of the giant four-legged mammals from Salvador Dali’s painting “The Elephants.” The artist added his own steampunk twist to the building brick reincarnation, however, which sees the pachyderm infused with complex gears and elaborate mechanical joints. 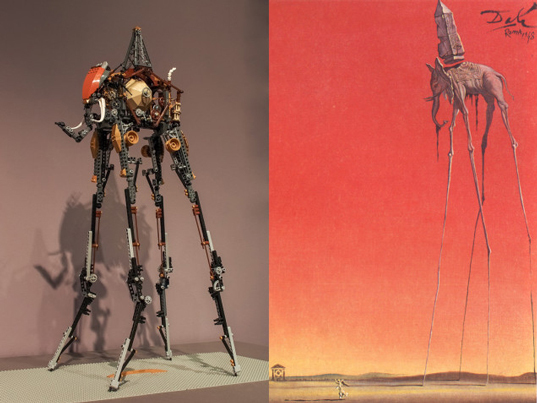 At an impressive 32 inches tall, this inspiring homage to Dali is full of other intricate details that you can only see on closer inspection. Kei’s elephant recreation appears to have balcony railings built into its rear, which would mean a scaled up version could easily serve as transportation for a few people. Other details on the LEGO model include what appears to be an oil tanker of some kind, complete with a hatch and oil-derrick on top. Related: Stunning LEGO Rivendell Replica is Built with Over 200,000 Bricks! 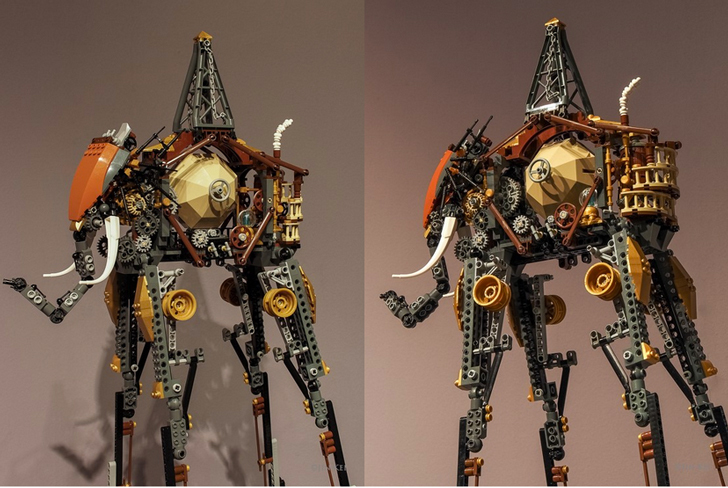 Dali himself has been transformed into a custom LEGO mini-figurine in the past by Push Institute, but this towering steampunk creation is the best LEGO reinterpretation of his work that we have seen to date. Whether or not Kei has any plans to take on other surrealist masterpieces remains unclear, but it’s unlikely anyone would complain if he did. Korean LEGO artist Jin Kei has given life to one of the giant four-legged mammals from Salvador Dali's painting "The Elephants." The artist added his own steampunk twist to the building brick reincarnation, however, which sees the pachyderm infused with complex gears and elaborate mechanical joints. At an impressive 32 inches tall, this inspiring homage to Dali is full of other intricate details that you can only see on closer inspection.